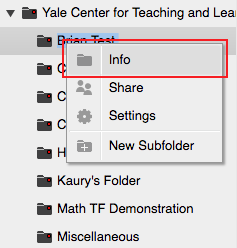 Canvas @ YaleInstructor Guides Media LibraryHow do I find and move content that was in Media Gallery? Log in to Media Library at http://medialibrary.yale.edu/ by selecting the "Login" button and entering your NetID and Password when prompted. In the left hand column under "Browse" will be a folder named "Media Gallery" which will have a folder within titled your NetID. This folder will have content you uploaded to Media Gallery in Classes*v2. Please note that this is only content you uploaded and may not be all the content used in your course. Content that was used in your course but uploaded by another user will not appear in this folder. 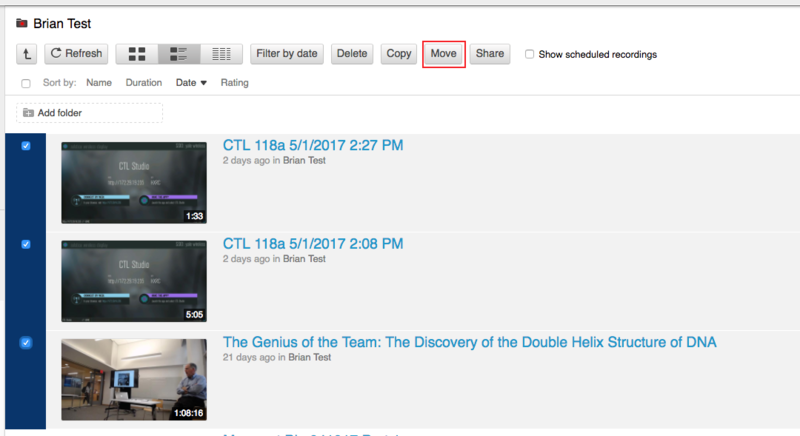 Navigate to your new course in Canvas and click on the "Media Library" item in the left hand column. This will create the folder for this course. From within the Media Library in your course, select the upward facing arrow to navigate to the main Media Library site. You can also access the site by going to http://medialibrary.yale.edu/ and logging in. In the "Browse" section on the left hand side, navigate to your NetID folder. Click on the folder you wish to move, then enter the settings for that folder by selecting the gear icon in the upper right hand of the folder window. You can also right click (control+click on mac) on the folder in the "Browse" section and select "info"
In the "Overview" selection, select "edit" next to "Parent folder"
Select the folder for your new course from the drop down menu and select "save". The folder will now be located within your new course folder. Locate the media you wish to move in your NetID folder and select which files you would like to move by clicking the box to the left of the file. Then select "Move" from the menu. Select the folder for your new course from the drop down menu. Select "Move". Once the window notifies you it has finished moving your files, the media will be located within your new course folder. Prev: How do I migrate Media Library course content from one library to another? Next: How do I add and edit captions?